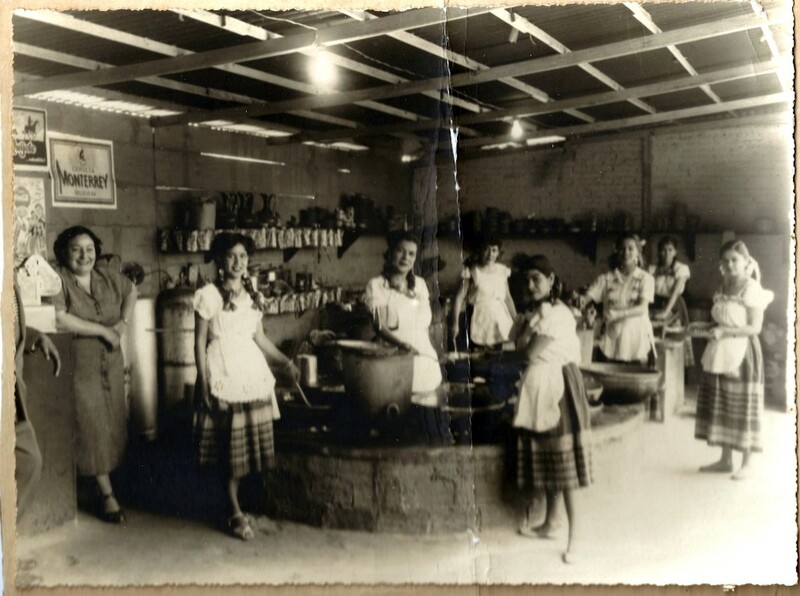 This is a picture of my grandmother´s “Doña Borola” restaurant in Guadalajara, beautiful memories of Doña Alicia my inspiration and guardian angel. Her signature dish believe it or not was a special hotdog with spicy chilli, her own delicious creation. Even now I still remember those wonderful flavor combinations! In this picture we see the kitchen and the personnel, and on the left Doña Alicia in her characteristic pose.